1. In music, an acute sound. 3. The character which directs the note to be thus elevated; opposed to a flat, which depresses a note a semitone. 1. To make keen or acute. 3. To mark with a sharp, in musical composition; or to raise a not a semitone. SH’ARP, v.i. To play tricks in bargaining; to act the sharper. 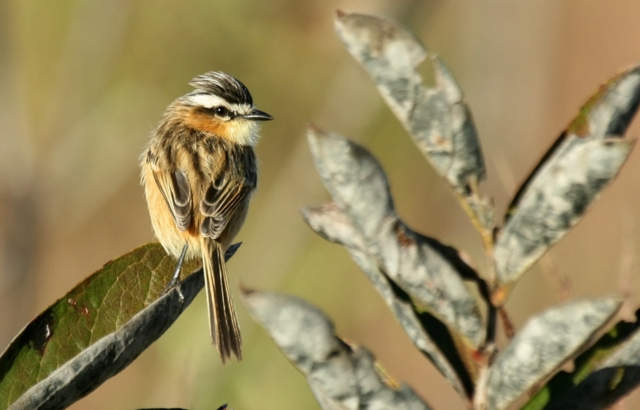 Sharp-tailed Grass Tyrant (Culicivora caudacuta) is a species of bird in the family Tyrannidae, the only one in the genus Culicivora. It is found in Argentina, Bolivia, Brazil, Paraguay, and Uruguay. Its natural habitats are dry savanna and subtropical or tropical seasonally wet or flooded lowland grassland. It is threatened by habitat loss. 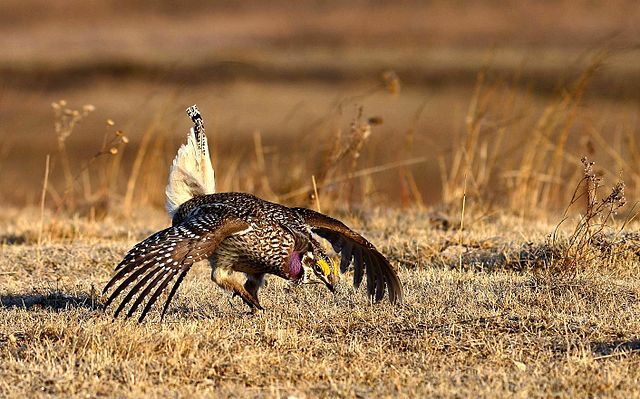 Sharp-tailed Grouse (Tympanuchus phasianellus) (previously: Tetrao phasianellus) is a medium-sized prairie grouse. It is also known as the sharptail, and is known as fire grouse or fire bird by Native American Indians[clarification needed] due to their reliance on brush fires to keep their habitat open. 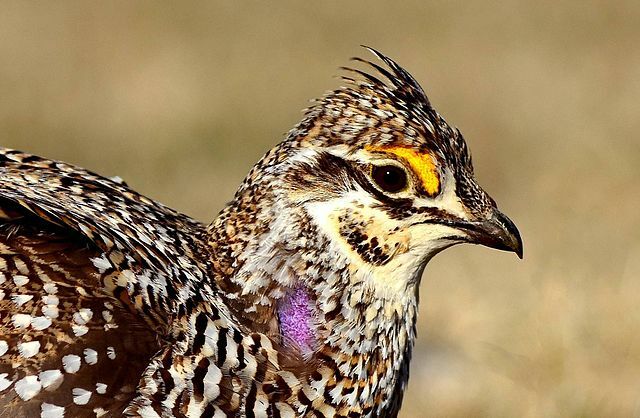 The Sharp-Tailed Grouse is the provincial bird of Saskatchewan. 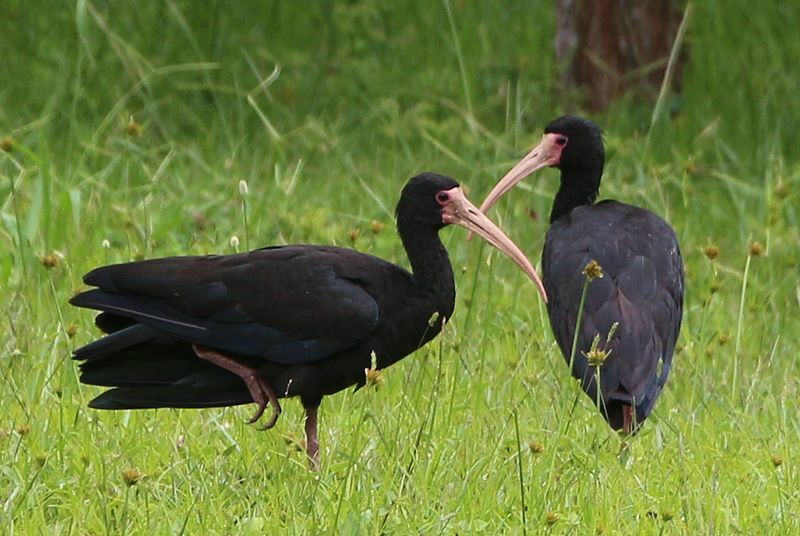 Sharp-tailed Ibis (Cercibis oxycerca) is a species of ibis native to open wet savannas in parts of northern South America. 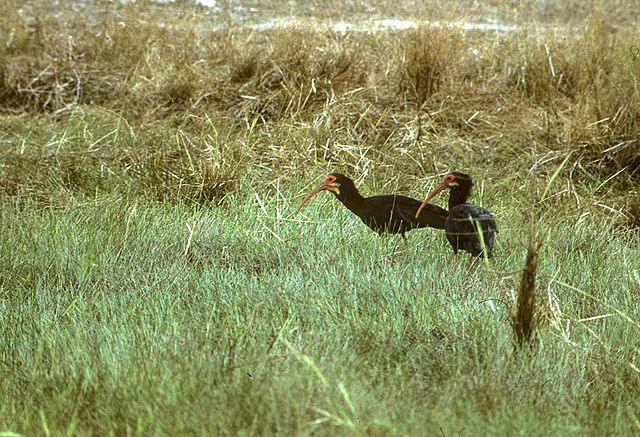 This ibis is distinguished by its notably long tail, which is the longest among all extant ibis species; measuring 250-301mm in males and 256-272mm in females. The tail projects beyond the tips of the folded wings when the ibis stands; and beyond the trailing legs in flight. The plumage is predominantly black with greenish glossing; and with purplish tinges on the upper back, hind neck, wings and tail. The forehead and cheek region are occasionally greyish brown. Juveniles appear similar to adults, but their plumage lacks a metallic sheen. Sharp-tailed Sandpiper (Calidris acuminata) – breeding adults are a rich brown with darker feather centres above, and white underneath apart from a buff breast. They have a light superciliary line above the eye and a chestnut crown. 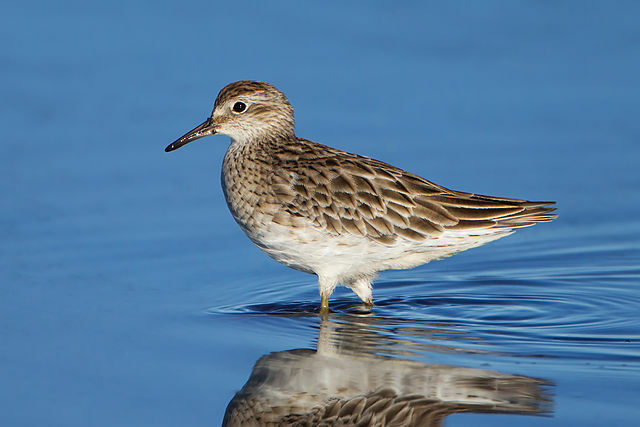 In winter, sharp-tailed sandpipers are grey above. The juveniles are brightly patterned above with rufous coloration and white mantle stripes. 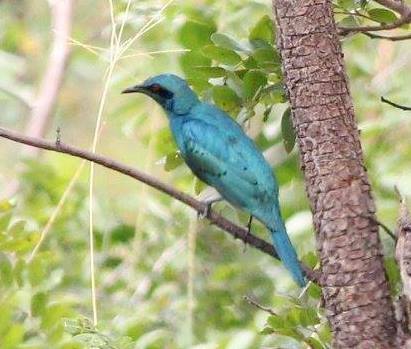 Sharp-tailed Starling (Lamprotornis acuticaudus), also known as the sharp-tailed glossy-starling, is a species of starling in the family Sturnidae. It inhabits open woodland (namely miombo) in Angola, northern Botswana, the southern DRC, northern Namibia, western Tanzania, and Zambia. 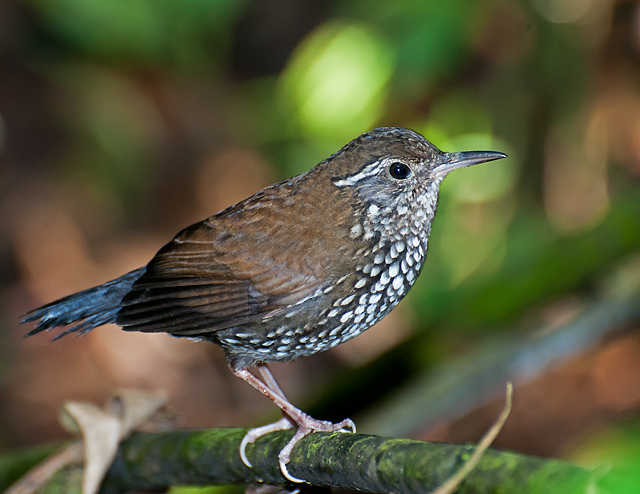 Sharp-tailed Streamcreeper (Lochmias nematura) is a passerine bird of South America belonging to the family Furnariidae, the ovenbirds. It is the only member of the genus Lochmias. The species is also known as the streamside streamcreeper. This bird is about 6 in (15 cm) long, with a short tail and a long, thin, slightly curved bill. The plumage is dark brown, densely spotted white on the underparts. There is a white stripe over the eye and the tail is blackish. The song is an accelerating trill, lasting for about five seconds. This entry was posted in Avian and Attributes, Birds, Birdwatching, Christian, Daily Devotionals and tagged Bible, Christianity, Creation, Deceit, Home School, Nature, Photography, Sharp Tongue, Sharp-tailed. Bookmark the permalink.